Home / Weight Loss / Real Weight Loss Stories / What Motivated Adriana De Leon To Turn Vegan? Adriana was born and raised in Guatemala but moved to San Diego, California 4 years ago where she gained a lot of weight because of eating burritos and French fries & Starbucks frappes. She had major digestive issues and they started getting worse since an eating disorder started to occur, using excessive amounts of laxatives and having a disturbing binge and purge cycle, she was diagnosed with depression years before but as soon as this nightmare came the depression just fell in again into her life, and she really believed that she would die in her 30’s if this continued. But one day in her mail she got an advertisement about this school called Integrative Institute of Nutrition and was drawn to it and signed up for the wellness program and learned so much about all the diets and foods and decided to adopt “Veganism” or a vegetarian diet and she soon became a 100% Vegan. 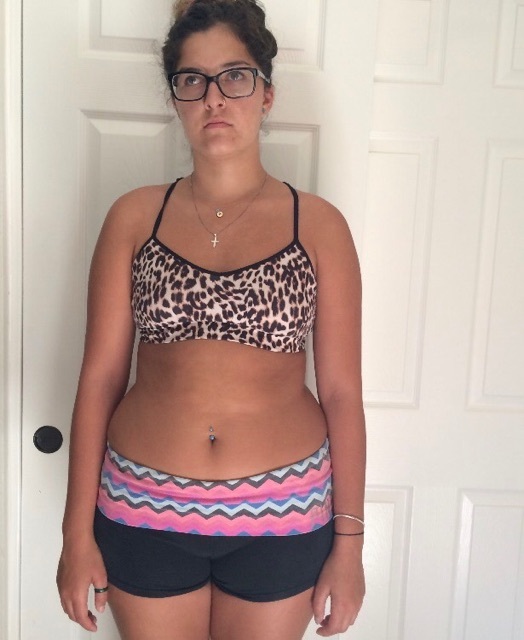 She felt so good about it, her mind started to heal, her eating disorder started fading away, and major digestive problems started to disappear within the first month. Check out her wonderful transformation journey in an exclusive interview with Women Fitness. When I felt embarrassed about my appearance in pictures, when I couldn’t do a hike without feeling dizzy and sick. My weight loss journey has been full of up’s & down’s such as everything in life, but I’ve realized that it’s all more mental than physical. Something that I had to overcome was my eating disorder and stress, anxiety eating. I’ve stuck to the vegan diet pretty well and never want to change it. I go to boxing training 2-3 times a week and I go to a bootcamp HIIT strength training 1-2 times a week. For breakfast I’ve experimented a lot through out the years, listening to my body made me realize that oatmeal with some fruit will keep me pretty full till lunch. For lunch I usually bake a batch of veggies like; broccoli, eggplant, potatoes, zucchini and then add some quinoa or cauliflower rice with some avocado and beans or tempeh & tofu, I also add tons of homemade hummus to my bowls. and for dinner I eat stir fry veggies with some rice or brown rice noodles. My fave snacks are PB sandwich, avocado toast or a green smoothie! I always check the ingredients on the bread and peanut butter that I buy making sure they don’t have added sugars or palm oil. My dad always motivated me to be active as a kid so I think that made my journey stronger since I had memory’s of being super active and healthy, it motivated me to condition myself to be able to be as active like when I was a kid. My resolution this year is to learn to listen to my body even more and control my mind and focusing on becoming stronger mentally and physically. What are the 5 best things about being a Vegan? 1.The freedom of not counting calories and healing your body with nutrient dense foods that are delicious and satisfying. 2. The fact that you are not being a part of animal cruelty & slaughter, and being eco friendly. 3. The cooking and experimenting with different foods. 4. Feeling all the benefits like skin improvements, digestion, energy, just a transformation in your body, also having a clear mind. 5. Being a part of a compassionate community that cares, loves animals and treats them with equality and respect. 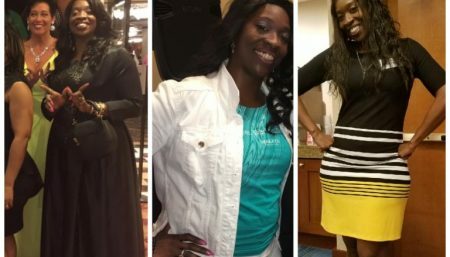 Real Weight Loss Stories Having Been On A Weight Loss Journey For the Past 10 Years, Tia Finally Tasted Success!